Folding knives make great knives because when they are not in use, you can fold them up and put them into your pocket. Folding knives are safer than traditional knives because once folded you can not cut yourself on the blade. Blades on folding knives are typically no larger than 3 to 5 inches in length and can be used for anything. These knives are generally cheaper than other knifes and are the most commonly carried by the average consumer. 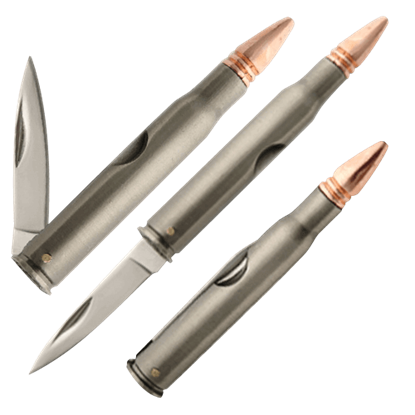 This 30-06 Bullet Pocket Knife might be the spitting image of the bullet, but in reality, it is a cleverly concealed pocket knife that will make a great companion that you can carry no matter where you might wander. Produced in limited production runs in Italy, the 4 Max Folder is an incredibly strong, heavyweight folder made with high end materials. The extra wide drop point blade is superbly stonewashed and made from resilient CPM 20CV steel. 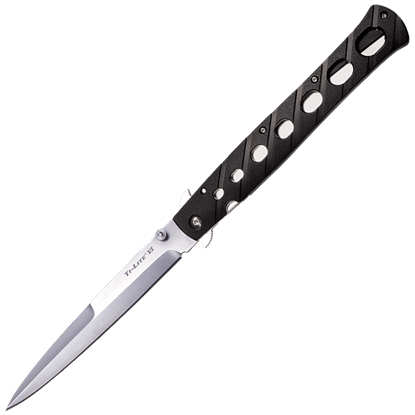 The 6 Inch Ti-Lite Tactical Folder evokes the sleek speed and rebellious lines of the classic 1950s-styled switchblade. Unlike most switchblades, it is legal to carry nearly everywhere, making it a great choice to keep close. This 6 Inch Zytel Ti-Lite folders evoke the sleek speed and rebellious lines of the classic 1950s switchblade. Unlike most switchblades, however, it is legal to carry nearly everywhere. 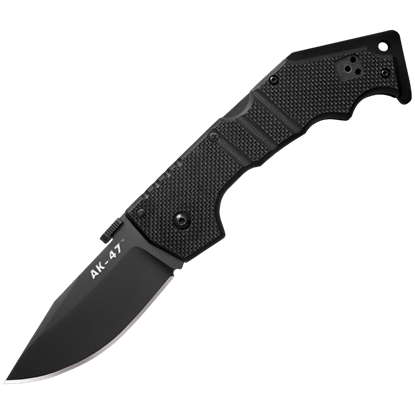 The AK-47 Folding Knife is a tough and rugged tactical knife, featuring an alloy steel clip point blade with a diamond like coating for enhanced corrosion protection. 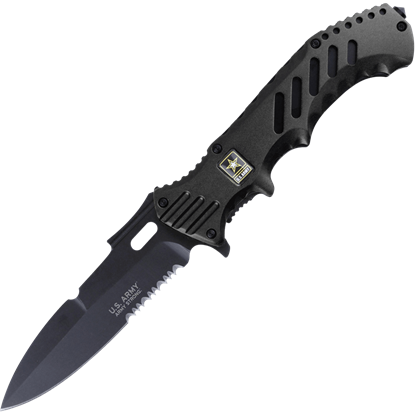 Built tough, this knife is very popular among military personnel. Designed by Andrew Demko, the AK-47 Series Folding Knife has all the attributes of its namesake, and perhaps a few more. The hollow ground blade is honed by hand until it reaches levels of sharpness only seen on a surgeons scalpel. 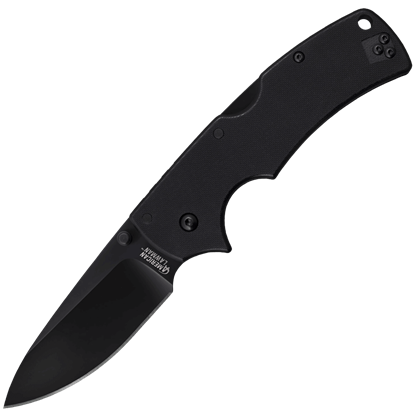 The American Lawman Folding Knife is named in honor of and explicitly designed to serve law enforcement personnel. 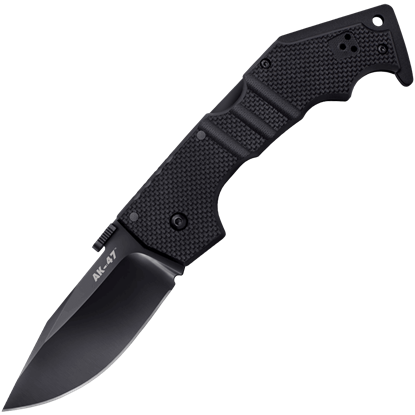 This rugged knife is constructed to perform in the most demanding environments while remaining comfortable to use. Never be without protection with the Army Cavalry Knife. This 440 stainless steel knife is sleek and durable, making it a great knife for any urban or outdoor survival situation you may happen to find yourself in. Never underestimate how helpful a small blade can be. 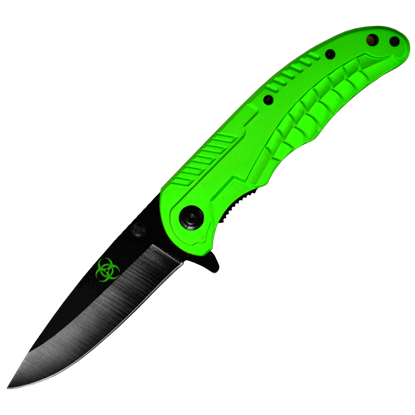 Handy and easily accessed, this Biohazard Clipped Point Folding Pocket Knife may wind up being what stands between you and sudden death or the tool you need to perform a task. A pocket knife can be the difference between life and death, depending on the circumstances. 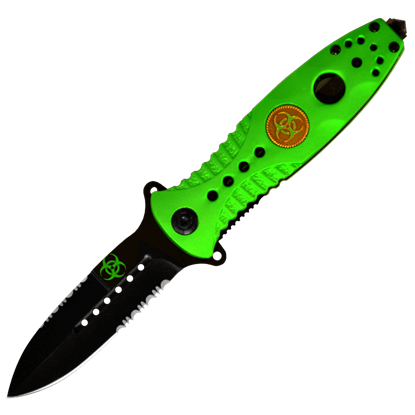 This Biohazard Folding Drop Point Pocket Knife is a handy, hardy choice for anyone to carry, thanks to its convenient size and versatility. The only thing better than having a knife clipped to your pack is having one secured to your belt or tucked in a pocket! 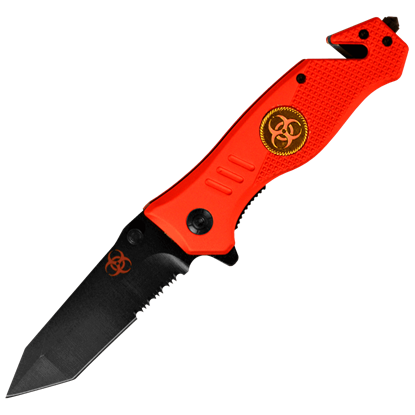 This Biohazard Folding Serrated Stiletto Pocket Knife is a companion accessory that you do not want to be without. 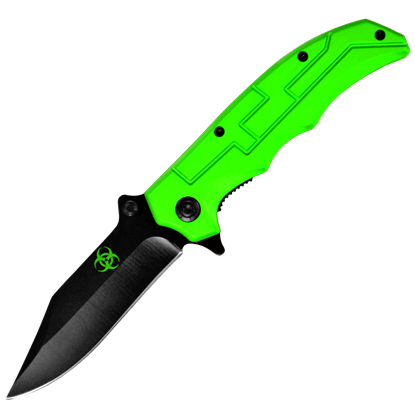 You cannot go wrong when it comes to this Biohazard Folding Tanto Pocket Knife! The hardy blade on this knife is thick and effective, while the grip houses a pair of specialist features that enhance the knifes appeal all the more.